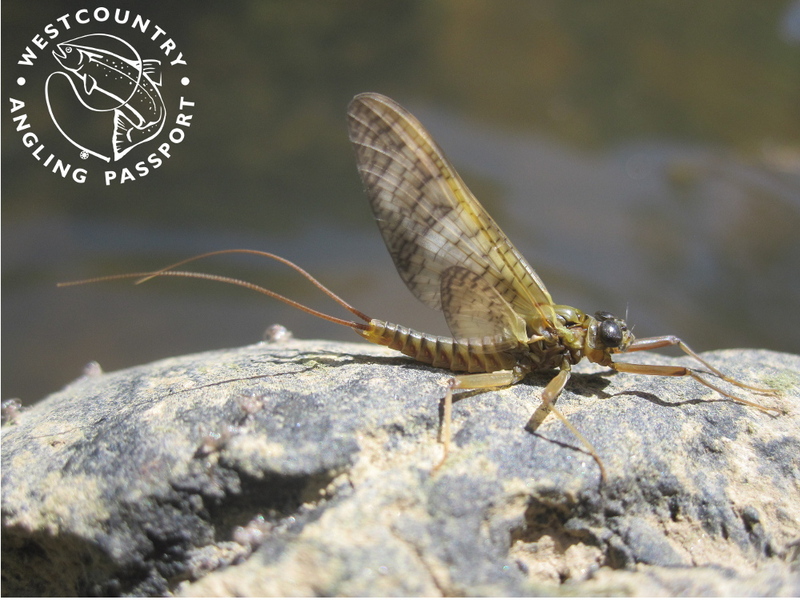 The European eel is an IUCN red list ‘critically endangered’ species with an extraordinary life cycle. From spawning in the Sargasso Sea, the larvae, known as Leptocephalus, use the ocean currents to be directed to the coastal waters of Europe. 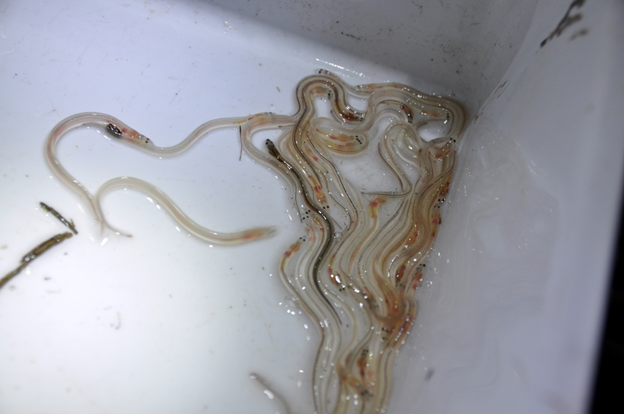 From here the juvenile eels develop into “glass” clear eels, seeking out fresh water inputs and negotiating tidal ranges to enter the river systems. Throughout their journey, eels face a number of threats, such as barriers in the form of weirs and dams, over exploitation and a distinct loss of wetland habitats. The Environment Agency’s Transitional and Coastal Funding has allowed a new project to be developed at the Steart Marshes, a highly protected site in Somerset. A huge proportion of intertidal and freshwater wetland habitat has been lost, particularly within Somerset, and Steart Marsh was formed to compensate for this loss. 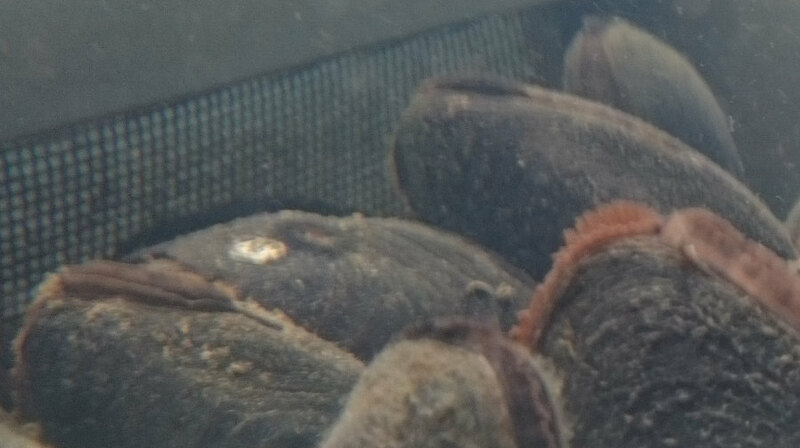 However we are only now finding out how the eels are using this new habitat. 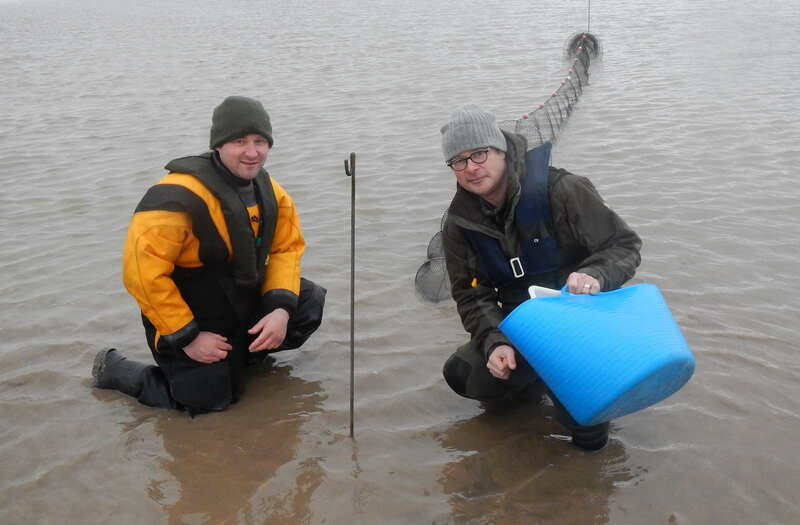 The Steart Eels Project is currently investigating eel populations at Steart Marshes where we have monitored eels in the different habitat types such as regulated salt marsh, old established ponds, newly created ponds and seasonal flood zones. We will use this information to understand how eel movement and habitats can be changed to help eels get in and out of this exceptional habitat, and help save the critically endangered European eel. 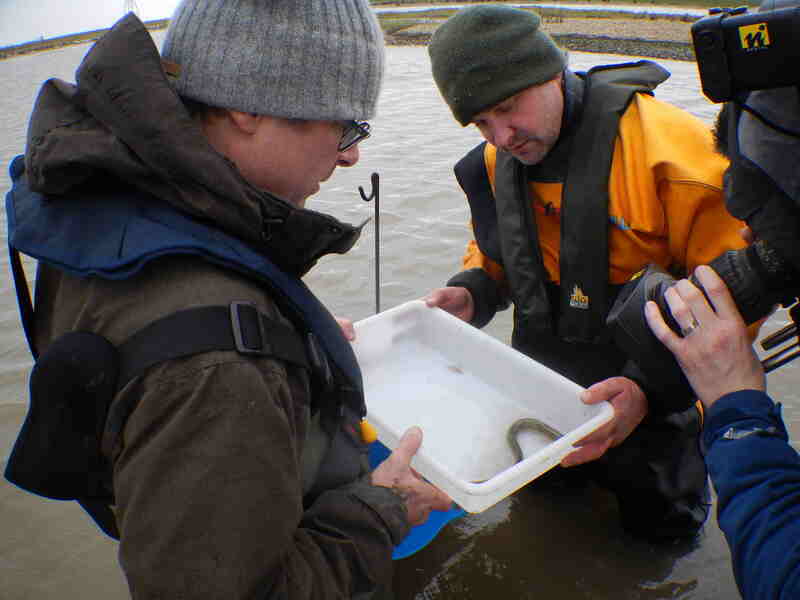 This project has generated a huge amount of interest, including that of Hugh Fernley –Wittingstall who is doing a great deal of work to promote the value in preserving our Westcountry eels.